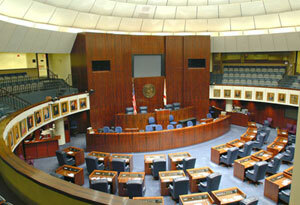 The proposed Florida Parents’ Bill of Rights has just passed a major roadblock in the Senate. But we need your help today to keep it moving forward. Four weeks ago the “Parents’ Bill of Rights” was introduced as HB 1171 in the House and SB 1726 in the Senate. Parentalrights.org staff and volunteers, led by state coordinators Jim and Patti Sullivan, have worked hard to get these bills introduced, and it is a major victory to get this far. What’s more, we just learned the bill has been put on the agenda of the Senate Education Committee in week six (week of April 8). This is a major break-through. Any bill not on an agenda in the next few days would be dead for this session. We squeaked in under the wire, but we need to make our voices heard now. Senate President Galvano, Senate Majority Leader Passidomo, and Education Committee Chair Senator Manny Diaz need to hear from you. They have the power to support SB 1726, or to block it from being brought up in the other two Senate committees it needs to pass. And of course it needs to pass the Education Committee as well. Call or email Senate President Galvano, Senator Majority Leader Passidomo, and Education Chair Senator Manny Diaz today. Thank them for putting SB 1726 on the week six agenda, and urge them to support the bill. They wield a tremendous influence, and have the power to see this bill pushed or ignored. You can also reach out to the members of the Senate Education Committee and request they support the bill. The first hearing is only days away. Please contact them now! President Galvano: (850) 487-5229; Email him here. Majority Leader Passidomo: (850) 487-5028; Email her here. Education Chair Senator Manny Diaz Jr.: (850) 487-5036; Email him here. Contact the whole Education Committee (or as many as you can–every call helps) here. We would especially urge you to contact your senator if he or she is on the list. I am calling to thank [President/Leader/Senator______] for putting SB 1726, the Parents’ Bill of Rights, on the Senate Education committee’s Week Six agenda. Parental rights are close to my heart, and I truly believe we need to protect our children by preserving parental rights in state law. The enduring American legal tradition that parents can best care for their children should be protected once and for all. Please support this measure in your committee and as it makes its way through the Senate. If you are a constituent, be sure to mention that when you introduce yourself, as well. You will most likely not talk to the Senator. More often than not, you will speak to their legislative assistant or an intern, but they will convey your message to the Senator. Always be polite and pleasant on the phone. Often the person you will be talking to will not be the most agreeable. As the “first line of defense,” they take calls all day, many of which are not nearly as friendly as we strive to be. Give them a little grace; they will greatly appreciate it. One of the easiest ways of sounding more pleasant on the phone is to smile as you talk. It comes through on the other end, and they will be able to “hear” you smile. Don’t be stressed making calls. Remember that you represent an amazing cause. Also, remember that there are other people in your state calling these senators as well. You are not alone in the fight. Please take a moment to contact them now. Thank you. If you have any questions, do not hesitate to contact Cory Gibbons at cory@parentalrights.org!